Summer meetings are always a special one. Two years ago, for the first time in EuroNet’s history, we decided to spend a few days in a Dutch farm. Last year, we managed to bring 30 Euroneters to a tiny village on the top of an Istrian hill. This year, it was the turn of Valencia. We decided that, given the time and the venue, a relaxed format of meeting would be more appropriate. Yet, there are always three goals which must be achieved in a meeting: to improve EuroNet, to learn something and to have fun with other colleagues. Thanks to the work of the organising committee, all three were achieved. Presentations by Rocio Zurriaga, Robert Otok and Sara McQuinn taught us about the past of our network and how to look to the future by strengthening our partnerships with key European organisations such as ASPHER and EUPHAnxt. These were followed by our usual working group sessions. This year, we also introduced an innovative format of group discussions, whose outcomes you will be able to read in this report. Nevertheless, this meeting will be always remembered as the meeting where Turkey joined our network. We are already the biggest network representing medical residents in Europe. However, expanding EuroNet is always an objective. By strengthening EuroNet we increase our capacities and become more influential. In this context, the admission of Turkey is a huge step forward. We are all really looking forward to meeting and learn from our Turkish colleagues. But a EuroNet meeting would not be a EuroNet meeting without fun, and the Spanish committee (and Julio particularly) are experts on this. We enjoyed some fantastic days in which water buckets, paella and the beach were among the highlights. Whether you are an established euroneter or someone hearing from our network for the first time, I hope you enjoy this report and, if you want to join us, do not hesitate to contact the board or your country representatives. I hope that you are able to join us on our next meeting, which will take place in Slovenia at the beginning of December. See you there!! In 1936, during an excavation on a hill near Kujut Rabua, a Hamlet southeast of Bagdad, members of the Iraqi State’s Railway Department found a tomb covered with a slab of Stone. The archaeologic recovery that ensued resulted in a magnificent number of small, decorated objects dated as far back as 248 a.C. . Among these were several odd looking recipients, shaped like a vase and light yellow in color. In these recipients they found fixed copper cylinders with iron rods in them. These objects would later be identified as crude batteries used for electroplating small objects and nicknamed the “baghdad batteries”, predating modern electroplating technology by almost two millennia. We took on the challenge of organising the 2018 summer meeting with mediterranean optimism. We would start with Croatia’s victory against England (no disrespect to our british colleagues, but Croatia is a charming underdog with a little to no imperialist background) and finish on Sunday night by lighting a cigar after tapas with the last meeting survivors à la The A Team’s John Hannibal Smith exclaiming “I love it when a plan comes together”. Fade to black. Unfortunately the world is a wild place full of real problems. It is physically impossible to make an A+ paella for fifty. Despite the different issues that were faced, organising this event was a blast. Sharing your city and hosting for colleagues and friends is a great experience that we are grateful for and we recommend. It also, as is usual in EuroNet meetings, produced several unique moments, some of which we would like briefly mention: Turkey’s historic entry in EuroNet. Croatia making it to the finals. The experimental discussion groups as a way of exploring common interests and generating ideas. The weird bar. Several impressive memes were also produced during this meeting: Angelo’s very big data, Euronet pushing me to achieve my fullest profesional potential and Clement and Antoine’s rather odd bed meme. Back to the Baghdad batteries. Lost knowledge is a real thing. As good as we are in keeping a record of things, humanity sometimes has the tendency of starting things from scratch rather than stand on the shoulders of giants. We saw a glimpse of this during Rocio Zurriaga’s intervention on the beginnings of EuroNet, particularly in regards to the structure of assemblies. Meetings have varied greatly in the last couple of years. This is understandable considering the association’s impressive expansion (There is word that despite history’s lessons we will take on Russia in winter). We would however like to echo the feeling of discontinuity that was expressed by some during the meeting. Creative licenses set aside, there is perhaps a need to produce a template of what a meeting should look like, what sections should constitute one and what are the objectives or the expected interactions at the assemblies. At this point, the size of the association certainly justifies a quality control approach. Next meeting couldn’t be more of a contrast with the last: from the mediterranean Playa de la Malvarrosa to snow covered cottages in the slovenian alps. The idyllic setting along with the coinciding EPH in Ljubljana and the guaranteed hosting qualities of the Association of Public Health Residents of Slovenia truly makes this one a no brainer. We hope to see you all there. This summer I finally had the opportunity to join my first EuroNet MRPH meeting. Due to a lot of enthusiastic stories of my colleague (Lilian van der Ven) about EuroNet-meetings my expectations were sky high. And I can tell you that Valencia did not disappoint me at all! On the first day of the meeting I have learned a lot about Public Health initiatives in Europe. There was a presentation about EUPHAnxt (Sara Mc Quinn). Rocío Zurriago Carda, former president of EuroNet MRPH, taught us some history of our association. It included a very impressive movie of several former members, who are now working in different fields of Public Health all over the world. It showed me the importance of this network and the family-like involvement of all the individual members. Together we are stronger! We were asked to use our brains and creativity in the working groups of internships, research and communication. I attended the one about internships. Did you already know that EuroNet MRPH facilitates internships throughout the continent? Read everything about it on the website! Cansu Erden Cengiz told us everything about the Turkish Public Health system and their network of residents. It led to an unanimous YES during the voting, which means that Turkey is now the 10th country joining the EuroNet MRPH. Together we are stronger! The second day of the meeting started with a presentation of the new ethical statement of the association (Maria Francesca Manca) and an interesting update about the research working groups (Damir Ivankovic). Afterwards Robert Otok, the director of ASPHER, presented the work of the association and the professionalization. There were discussion groups of several very interesting topics, like big data. The day ended with a fun movie contest to promote EuroNet MRPH. A lot of attendees told their individual positive experiences with this network, some of the attendees introduced the EuroNet-song ‘Viva EuroNet’, but the winner was Juan Francisco with a short movie with a very clear message: ‘Together we are stronger!’. Beside the serious topics during the meeting, Julio Munoz did a very good job to show us all the best things of Valencia. He organized good weather, so we could enjoy the beach and the sea after the meetings. He arranged the 2018 FIFA World Cup for some international competition between the different EuroNet countries. He taught us some very useful Spanish sentences, like ‘Please try to keep the hamster alive’. He found the best restaurants to have shared dinner and the weirdest bars to have some good fiestas toda la noche. He took his profession as an audio tour guide very serious, so nobody could get lost, unless they were not listening of course. He constructed cycle paths throughout Valencia, so the Dutchies couldn’t stop smiling while riding their bikes. He showed us the biggest pan of paella I have ever seen, and the best paella I have ever tasted for breakfast. And even during the last night he arranged a huge firework show to let Valencia know that the EuroNet MRPH-meeting has officially ended. Muchas gracias Julio! After another short night of sleep, it was time for me to fly back home. I’m really glad that I was able to attend this meeting and thanks to everyone for the warm welcome, the interesting presentations and all the fun. Luckily there will be more meetings and thanks to the preview of Matej Vinko of the winter meeting in Slovenia, I know it’s going to be another awesome weekend. Are you joining as well? Always remember this: together we are stronger! The recent Euronet meeting in Valencia proved a great opportunity to network with European colleagues. During the meeting I enjoyed listening to committed and enthusiastic public health residents from other European countries give their perspectives on their training and educational experiences. I also learned of some excellent practical initiatives that have been developed by Euronet including the internship programme which I believe will help interested public health residents strengthen their knowledge and experience in various areas of public health. It is clear that Euronet is a growing organisation which is helping to connect public health residents across Europe. I would encourage any public health resident who is interested in Euronet to come along to the next meeting and take the opportunity to meet and develop links with European colleagues. We organized a discussion group on themes related to Public Health Informatics (PHI), especially Big Data, during the Euronet Meeting in Valencia. Our group attracted much interest, becoming one of the biggest discussion group during the meeting. 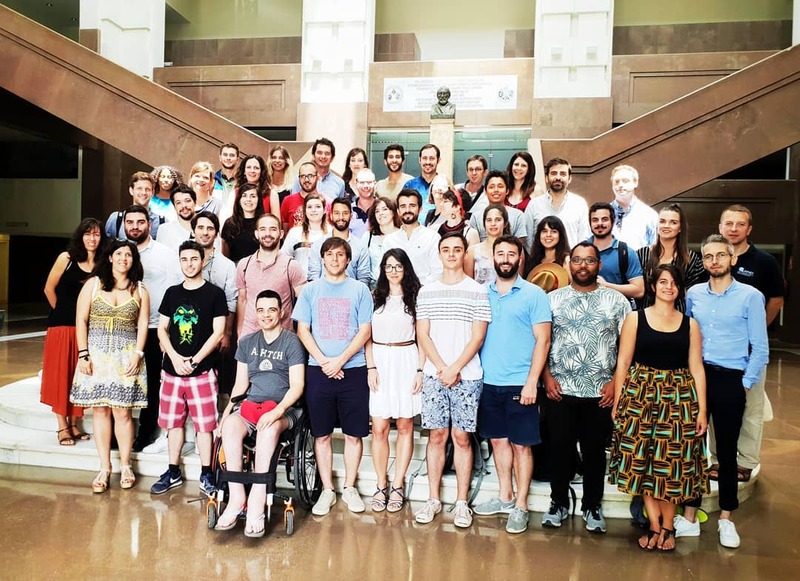 The participants were involved in discussions about hot themes in the application of informatics and advanced data analysis to health problems: for example, what are Big Data, Electronic Health Records, machine learning and its possibilities and limitations, using geographic data for health planning, the range of possibilities for population studies allowed by the use of internet usage data, like search engines data, social network data (the so-called Digital Epidemiology), etc… We discussed such topics alternating request for information, personal experiences, and discussion of Public Health implications. We also focused on the ethical implication of Big Data; we considered how essential is to get access to precise and rich data for better health programming, but much care must be taken regarding how this data is treated, stored and distributed. We made some examples, like being theoretically possible to identify specific persons using even anonymized data, or that insurance companies and employers could use genomic data about one person and treat them differently on a hypothetical risk of disease. We also discussed a bit regarding the new European law for General Data Protection Regulation (GDPR), and its implications for research purposes. It was also remarked that data digitalization without enough technical expertise could lead to data losses or worse to exposition to informatic attacks (e.g., ransomware). We cited how the technology called Blockchain, the backend of the bitcoin, that works by creating encrypted, redundant, decentralized copies of the modifications of the data can be a solution to health data management, interchange, and security. It was also discussed that too much privacy in certain settings could hinder the development of research that would be beneficial for Public Health but not possible in these days for privacy and corporate concerns. One example are the limitations on access to Google Search and Twitter data that would allow to follow health discussion and even identify possible cases of disease a lot faster than usual surveillance systems. These discussions led us to wonder if training provided by our Public Health Schools on this matter is enough and coherent with the rapid evolution of information technology. We thought about creating a Euronet working group which aim is to map the presence of informatics courses in Public Health training schools along Europe and evaluate which topics are covered and whether the program is up to date with the latest development. Finally, we created a WhatsApp discussion group where people can share material about the application of informatics to Public Health. The climate change discussion group started small but gradually grew in members by the minute as word reached the street that it was “pretty hip”. The discussion included both the public health related outcomes of climate change and the actual activities that influence the climate change phenomenon. -How droughts and reduced access to water, can make the resources an object of conflict and a cause of population displacement. -The grim effect of both heat and cold waves that result in increased mortality. Two distinct outcomes resulted from this discussion. On one hand there is the question of whether EuroNet MRPH can or should do anything to contribute in the fight against Climate Change. A campaign was proposed to promote awareness within and beyond the association. This, to an extent, can be considered a current “work in progress” in the form of a carbon footprint estimation project proposed for the Valencia Summer Meeting; the idea of which is to estimate the amount of emissions caused by our means of transportation and how much it would actually cost to neutralize such an impact. The other outcome is the proposal of a working group on one of the different discussed subjects. The lack of easily accessible data was observed although there are some free to access resources on things like rainfall, meteorology or air pollution. The review of different national policies in countries represented in EuroNet and beyond was also suggested. Although a specific line of work was not identified, climate change turned out to be an issue that leaves no one indifferent. This fact along with its pressing nature make it an excellent research theme for members of the association. The working group discussed food and nutrition problems and related issues in order to get together, share ideas and present possible solutions. The case of in vitro meat opened the debate, and talking about its environmental and animal welfare arguments for development got us thinking about the cultural aspect of food as well. The group concluded it to be not a solution to the excessive meat consumption, but a complement to traditional burgers, expanding consumer choices. However, the different food demands (kosher, vegan, etc) of present days can be seen as a threat, because of the sustainability issues and cultural aspects. Food becomes less of a bridge and more of a problem when in the same community/society there are different schools of thought and very different food demands. Insect eating was another issue that raised the debate on why food is such an important part of our cultural heritage, and got us discussing how it would be really difficult to change mindsets, and on it taking a number of generations to accept this practice. The present practices are unsustainable and we don’t believe this practice, needing such a long time to produce results, would be a primary solution for the environmental concerns. When talking about food one can never ignore the way food is actually being grown and produced. We talked about environmental concerns, such as the amount of land needed to feed animals for consumption, and the fish farming policies that make the fish grow faster but with loss of nutrition properties. Permaculture, seed biodiversity and the Monsanto problem were also discussed. We also discussed how the new diets/alternative eating styles are having both a positive and negative impact on health, positive or negative depending on the consumption of unprocessed or highly processed foods, respectively, and sustainability, depending on sourcing of the food (local vs imported). We then talked about how the future diet would look like, bringing up the subject of the vegetarian and the reducetarian diets. This would definitely have an impact on the fish and meat economical sector, both on the implementation phase (to get people into these diets) and the maintenance phase (keeping these diets going for generations). The policies needed to reduce the consumption of these products would probably be around creating quotas for producers and new taxes for consumers. The subject of the Common Agricultural Policy, implemented since the 60’s came to discussion regarding the previous subject. We talked about how this set of policies was created to solve the problems at that time, and that we now need to reduce subsidization gradually for the meat industry, to raise the subsidization for food & veg companies and tax the consumption following different rules. The need for vending machine policies and the tax on sugar closed the working group session, and different participants talked about their countries present concerns and policies. The discussion group was very participative, and was greatly nourished by the contributions of many residents in whose countries the health policies are very varied in these subjects. One of the central aspects of the talk was the daily medical work that the doctor must do in Hospital or at the consultation room, with a patient user of fake therapies. It became clear, that many times the physician lacks the time and the opportunity to explain (or even, argue) with the patient, but it’s always important to provide a support and understanding (never blame the patients for being scammed nor ridicule them for their choices). At least, it would be great to refer to places where the information is clear to clarify his/her doubts. It would be interesting to have a list of websites or pages where the societies talk informatively and rigorously about the most common pseudotherapies (Homeopathy, Chiropractic, Reiki …). Finally, experiences were exchanged on specific cases of users of pseudosciences and the legal perspective of many of them in Spain, through the legal gaps and jurisprudence of specific events. Next Meeting: 1-3 December 2018, Velika Planina!